In 2014 I embarked on my first relatively long adventure abroad. I spent 5 weeks in Europe, travelling to the countries and cities that really tickled my fancy. The trip was only 5 weeks, so time was quite restrictive. The Contiki style of ‘one day in every country’ wasn’t something I was at all interested in, so I really wanted to make sure I wasn’t rushing. I tried to ensure that I had enough time to really experience the cities I found myself in. The entire Europe trip was completely self-planned, all of which went as intended! 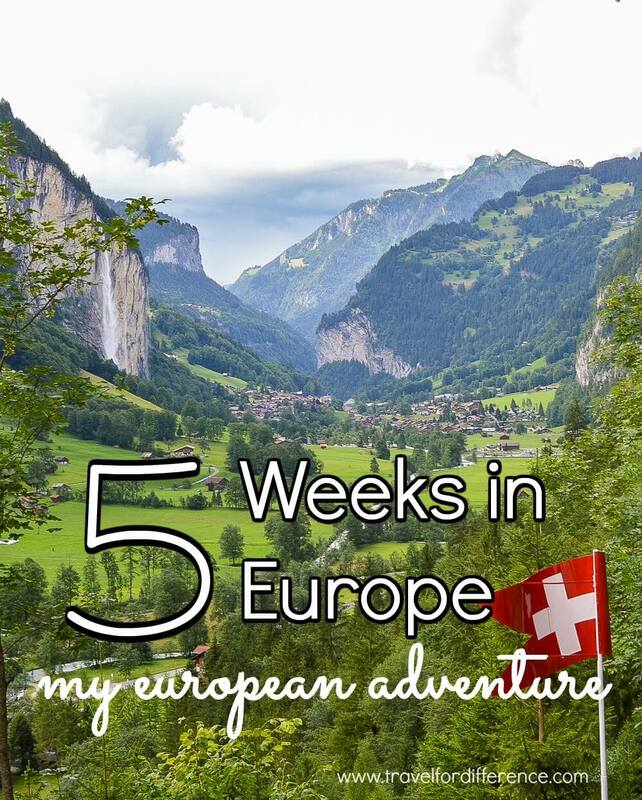 So, if you’re interested in planning 5 weeks in Europe for yourself – or any amount of time for that matter – and are in need of a Europe travel itinerary, here’s a little more about how my amazing adventure went. It might be an itinerary that you’re interested in too! The perfect location to start any Europe trip would definitely have to be the buzzing city of London! 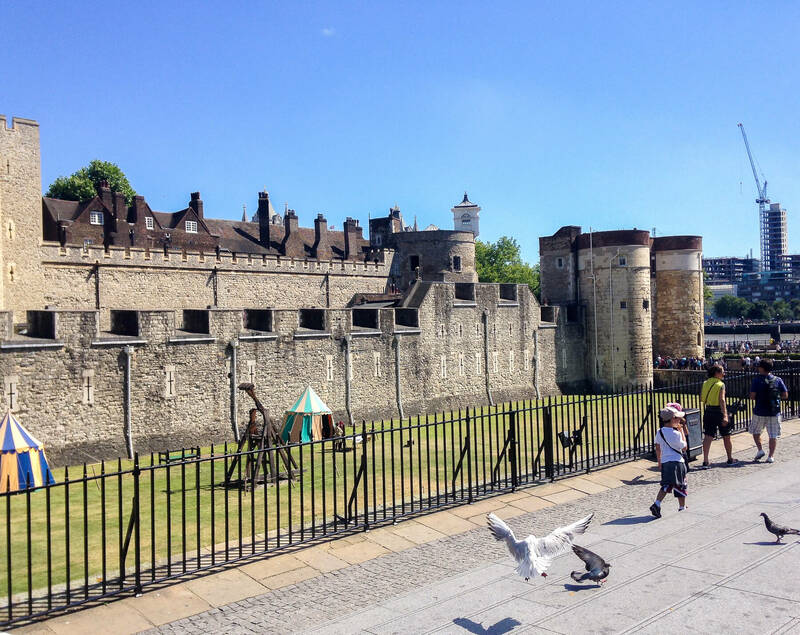 With its incredible architecture, historic references and exciting atmosphere, it’s a city that could entertain you for weeks and weeks on end. For me, 5 days was the perfect amount of time to explore the important sights, while still being able to step out of the city centre. 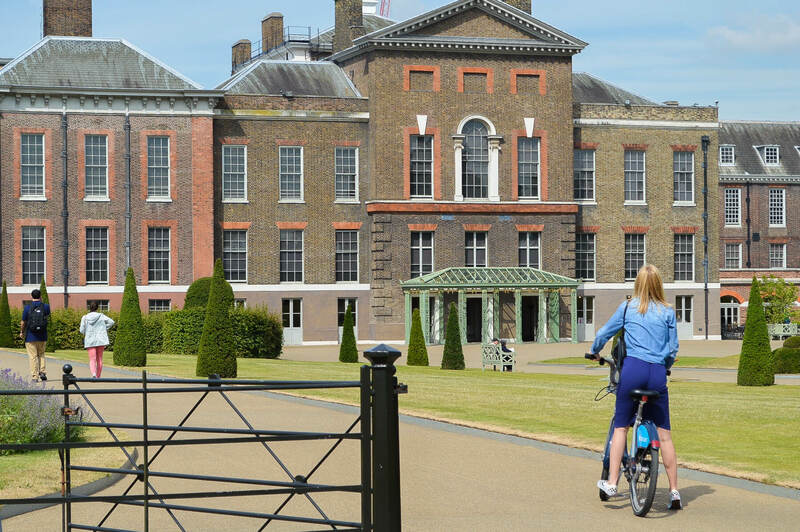 The accommodation was located near Museum lane and the edge of Hyde Park – and with the perfect summer weather we encountered, it really was the best location to get a kickstart on the trip. London has some of the major must-visit landmarks in Europe, so a trip to this continent wouldn’t be equipped without a stop here! Major Sites Visited – Buckingham Palace, Royal Mews, Hyde Park, Kensington Palace, Tower of London, Tower Bridge, London Eye, Museum Lane, Big Ben, Trafalgar Square, St. Pauls Cathedral, West End, The Shard, Chelsea. Favourite Memory – So, this one is definitely not my favourite memory by any means… it’s more like my least favourite. In the beautiful city of London, I unfortunately received a shocking batch of food poisoning from fish n’ chips (yes, I know.. fish n’ chips), which landed me in hospital at 5 am after vomiting for hours on end, becoming unconscious and hitting my head on the shower screen. 2 litres of fluid later and I was good to go! I guess the message is, you really never know where you’re going to be troubled by the cuisine! From the buzzing city of London, the next stop was the city of love and light; Paris! Our travel journey to this beautiful city was via the Eurostar. An amazing train journey from St. Pancras station in the heart of London, to Gare du Nord station through the channel tunnel. The 5 days in this incredible city were spent indulging in buckets of almond croissants and baguettes, taking in the historic architecture and exploring the romantic city in all of its forms. 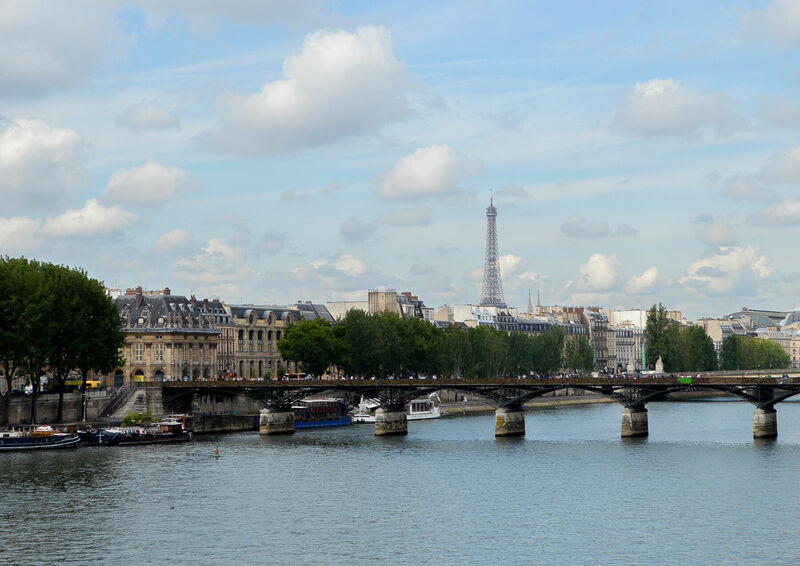 Of course, there were a few things not to do, along with a few things that cannot be missed – cough cough the Eiffel tower – but for the most part, the trip was spent taking the sights as we stumbled across them. Major Sites Visited – Eiffel Tower, Notre Dame de Paris, The Louvre, Arc de Triomphe, Versailles Palace, Disneyland Paris. Favourite Memory – My favourite memory in Paris is another strange one which took place on the very first night. Being in a country that doesn’t speak your language is hard, and can be very daunting. So instead of having to face the fear of attempting to communicate, we decided to grab takeaway McDonalds for dinner (adventurous I know). We chose to use the self-serve screens to avoid all contact with another human but quickly realised that the staff were going to have to call out our number in French anyway – which we, of course, could not understand. So let’s just say… It would have been very amusing for bystanders! Thankfully our travelling standards have certainly lifted since then, and the fear of communicating is looooong gone! A short flight across the border and I was landed in the sunny city of Barcelona! The 4 days that were spent here, were entirely dedicated to relaxation. 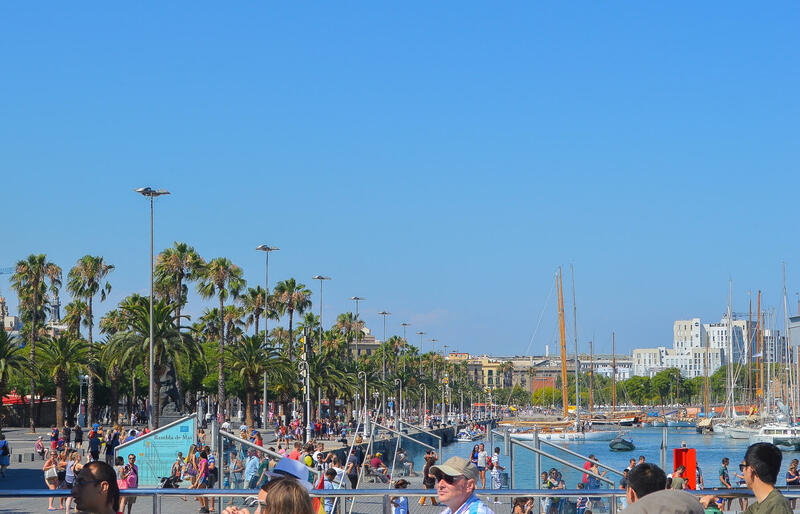 At times Barcelona can be a city of madness with huge crowds and busy streets. But without a doubt, everyone I encountered was very very relaxed. It really made me feel calm, de-stressed and revitalised for the busy weeks ahead! Shopping, drinking sangria and delving to paella and churros was definitely what was needed. Although it wasn’t my favourite place, there were a lot of great things to do in the hot, steamy weather! 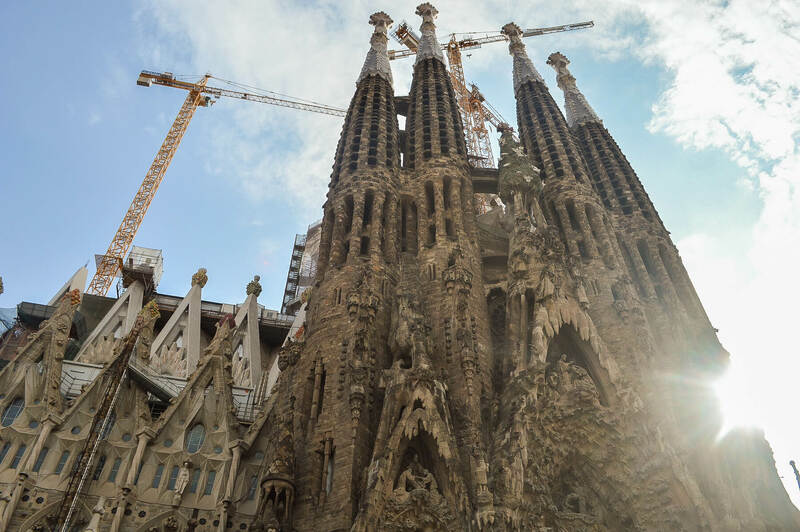 Major Sites Visited – La Rambla, Sagrada Familia, Casa Batlló, Waterfront. Favourite Memory – Our stay in Barcelona was during the FIFA World Cup, so my favourite memory was definitely watching the final in the hotel and being excited by the chaos that surrounded the streets. 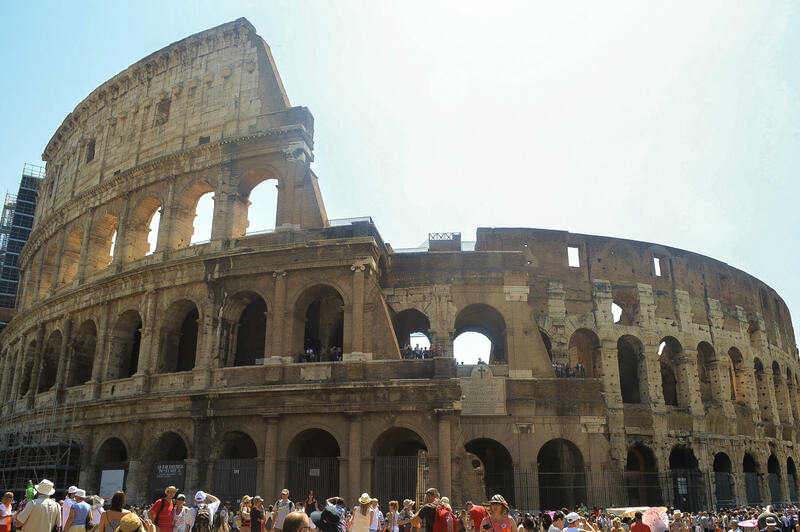 After relaxing and soaking up the Spanish sun, it was then on to the ancient city of Rome. The flight was short and sweet, and thankfully the sun was still shining here too – and to a whole new extent. Rome was the hottest destination of the entire trip, which was not the most ideal considering the sheer amount of exercise we were about to partake in – but hey! You’ve got to do what you’ve got to do right. Thankfully the heat didn’t take away from any of the incredible sights that scatter throughout the city; all were entirely accessible by foot with an array of different gelato stores and delicious pizza’s in between to keep you on your feet throughout the day. It was one of my favourite cities of the entire trip! Major Sites Visited – Colosseum, Roman Forum, Palatine Hill, Pantheon, Trevi Fountain, Spanish Steps, St. Peters Basilica, The Vatican, Sistine Chapel. Favourite Memory – On the first day, we decided to go on a search for the Trevi Fountain as it was a short walk from our hotel. After walking for a while, it became clear we had travelled too far, and we began our search again. After walking past the Trevi Fountain numerous times without any idea of its stature, we quickly discovered that the thing that was completely covered in scaffolding was unfortunately the drained out Trevi Fountain undergoing repairs. ???? 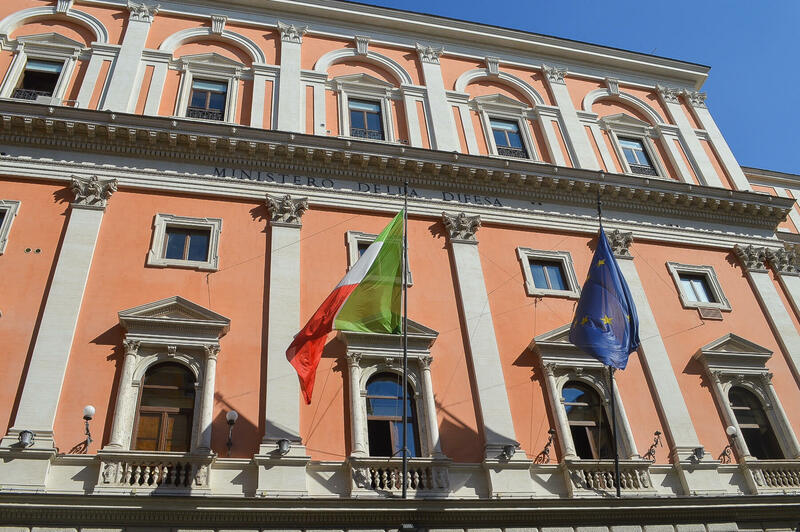 The next stop was Venice, which we reached via Eurail – through the beautiful Italian countryside and into one of the most unique cities in the world. A must do on any Europe travel itinerary! You know how they say that you’ll get lost in Venice? That’s certainly no word of a lie. 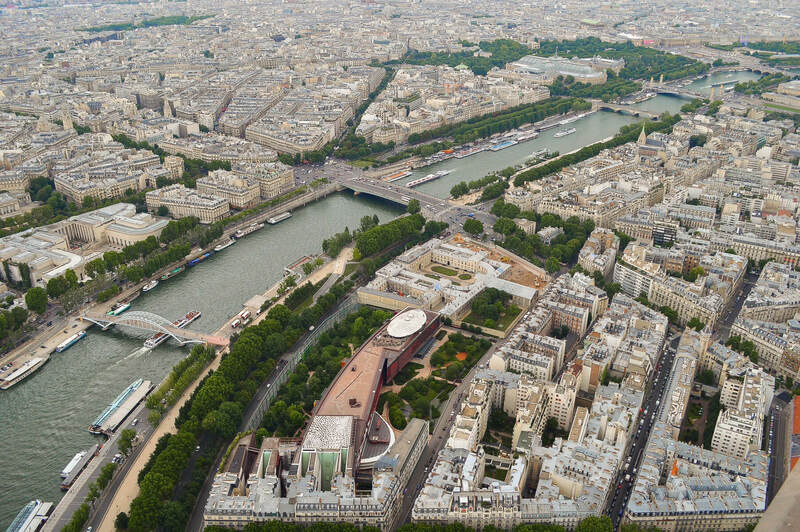 With 450 bridges and 120 islands, this city is nothing short of a maze. Around one corner there will be thousands of tourists, and around the next will be the quiet daily life of locals. 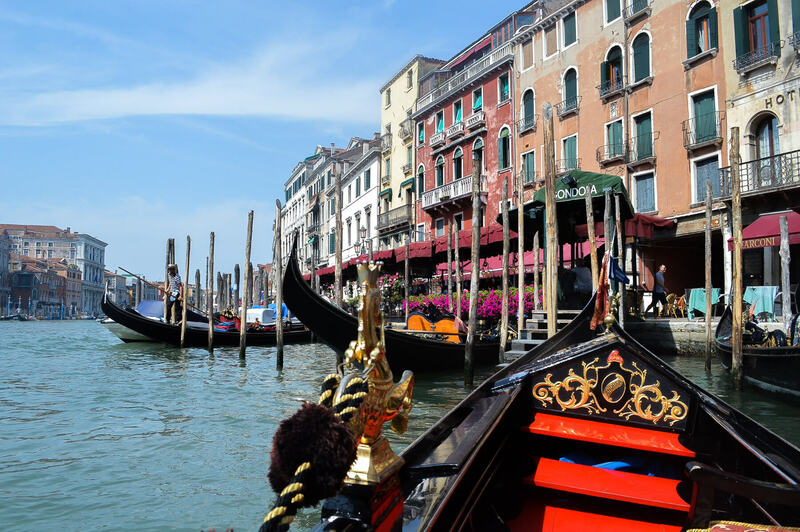 The 3 days were spent literally getting lost, going on gondola tours through the canals, and indulging in more delicious Italian cuisine. 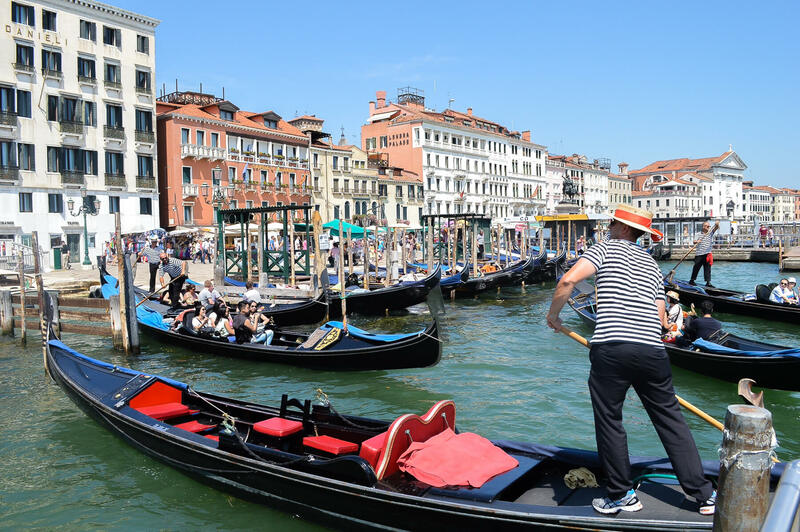 Major Sites Visited – Grand Canal, Saint Mark’s Basilica, Rialto Bridge, Piazza San Marco, San Marco Campanile, St. Mark’s Clocktower, Gondola Cruise, Lido de Venezia. 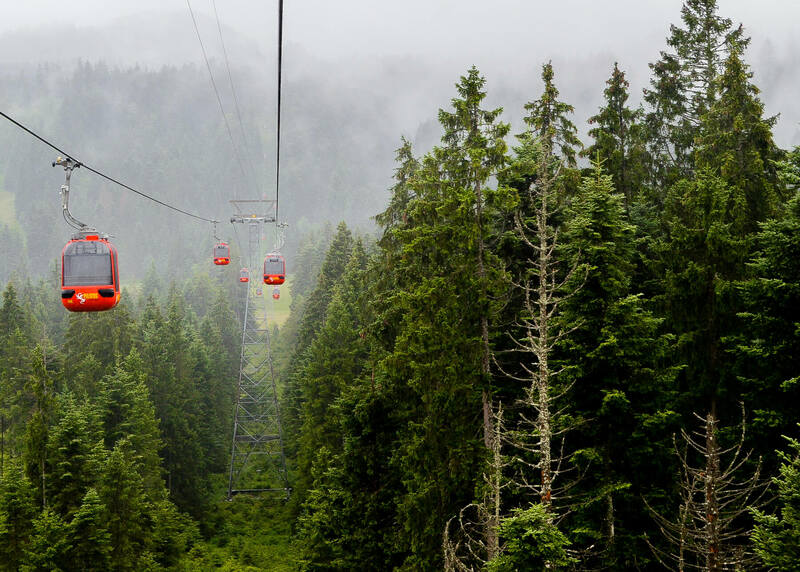 Favourite Memory – The Gondola Tour is definitely the most memorable memory. Seeing the city from that perspective is like nothing else. 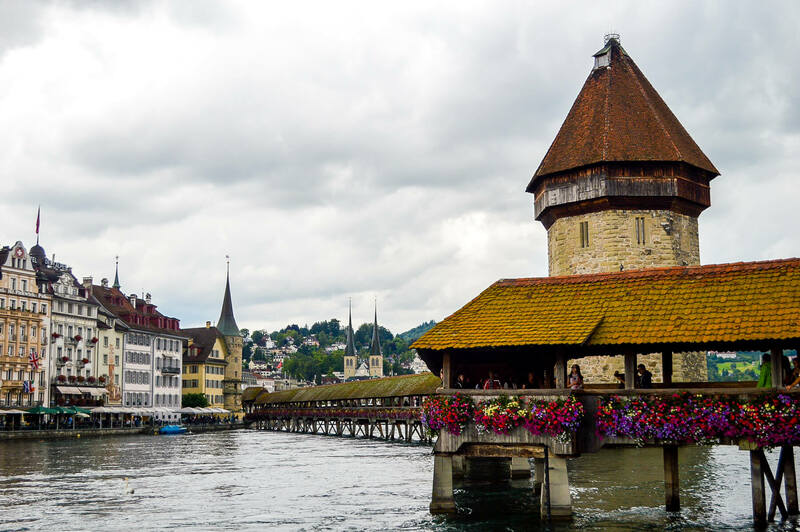 The next destination on the list was the tranquil city of Lucerne, Switzerland. A place that makes you feel like you’ve stepped back in time. Switzerland – although undoubtedly being my favourite country from the trip – was so different to every other place on the agenda, as it was unlike your typical city. Lucerne was very rainy the entire time, but the adventure was what made it so exciting. The scenery surrounding the city was so lush, mountainous and filled to the brim with friendly locals. We reached this beautiful destination via Eurail once again – which I highly recommend. The change from Itay to Switzerland is almost instantly noticeable as soon as you cross the border! Major Sites Visited – Lake Lucerne, Mount Pilatus, Church of St. Leodegar, Kapellbrücke. Favourite Memory – For our time in Lucerne, we had pre-booked a trip to the top of Mount Pilatus. Unfortunately, the day we had booked was accompanied by completely miserable weather. So when we reached the peak of the mountain, we couldn’t see a single thing past our fingertips. But instead of putting a downer on the day, we instead decided to walk to the summit in the complete fog and freezing temperatures. It was an adventure, to say the least. My favourite location of the entire Europe trip, hands down goes to the resort town of Interlaken. Although it appears to be quite touristy from the locals perspective, it was the scenery that certainly captured my heart. 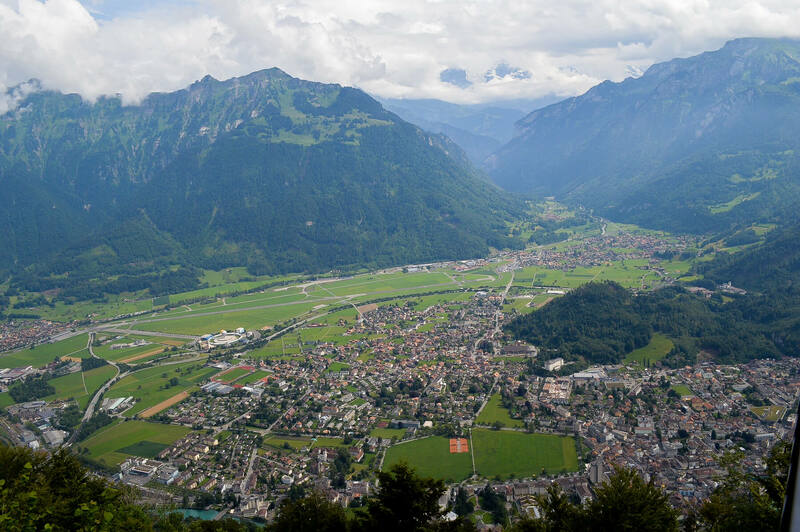 Interlaken is situated on a narrow stretch of valley between two incredible lakes; Lake Thun and Lake Brienz. The glacial peaks, stunning valleys and quaint Swiss villages that surround Interlaken are what really sucked me in. There was so much to do, so much to see and so much to explore. The entire 3 days were spent visiting the famous Jungfraujoch, indescribable waterfalls, lush mountains and channelling my inner nature lover. The train journey was also another amazing way to take in more of the Swiss countryside. 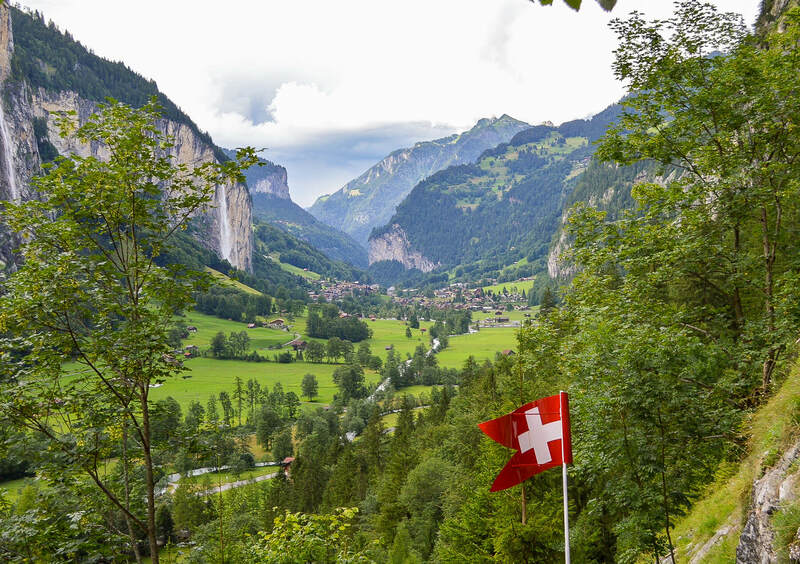 Major Sites Visited – Lake Thun, Jungfraujoch, Lauterbrunnen, Trümmelbach Falls, Harder Kulm, St. Beatus Caves. Favourite Memory – Trümmelbach Falls in Lauterbrunnen Valley was the most powerful and impressive waterfall I have – and will probably ever see. This waterfall carries the meltwater from the Jungfrau glaciers all the way down to the valley. 20,000 litres of water falls from the mountains every second, all of which is viewable from underground on platforms and pathways. Not only is the waterfall impressive, but the views from its location are also breathtaking too. Only one night was spent in Zurich, but this city is one that is frequently named the most liveable city in the world. To be honest, the only reason we decided to stay here was that of our connection to Amsterdam. But regardless of the reasons, Zurich was a very beautiful city! The day we arrived was unfortunately very dreary and there was only a small amount of exploring we could do. But no doubt, with a little more time it would be an amazing place to stay if you’re interested in Swiss history and culture. Major Sites Visited – Lake Zurich, Swiss National Museum. Favourite Memory – Due to the very short time frame, my favourite memory was simply strolling the streets and finding my favourite purse that I’ve now had for 3 long years! The final stop of the Europe Trip was in ‘the Venice of the east’ – aka. Amsterdam! We arrived in Amsterdam after a long overnight train via Eurail, which I didn’t really enjoy due to snoring passengers in the tiny bunkbed cabin – but hey, it’s all part of the experience! There are a lot of aspects to this city that questioned me, amused me and completely surprised me. 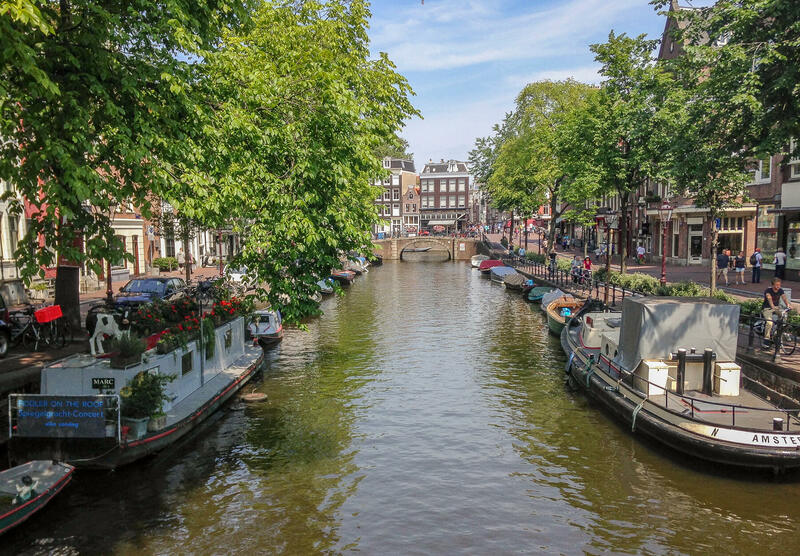 From the red light district to the beautiful canals, this picturesque city is another that you could get lost in for hours. Although it’s not the biggest in the world, Amsterdam really is filled to the brim with activities and sights. The list is basically endless; it’s certainly a city that you don’t want to miss. Major Sites Visited – Anne Frank House, Van Gogh Museum, Rijksmuseum, Dam Square, Heineken Experience, Red Light District, National Maritime Museum, Madame Tussauds, Canal Cruise, Zaanse Schans. 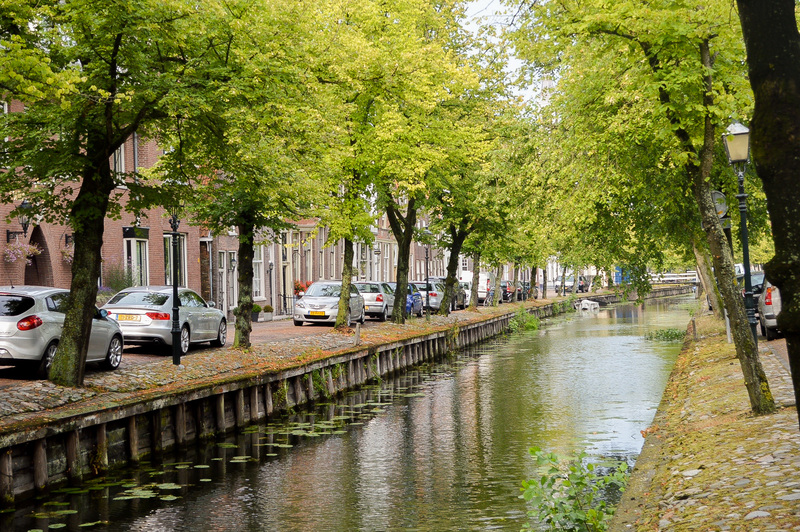 Favourite Memory – I wouldn’t say it was my favourite as such, but the memory that stands out the most to me was walking through the Red Light District at midnight. It was something so far from what I had ever experienced, and I truly witnessed things I thought I would never see. The district is home to a regulated profession and industry that has been a part of the city for centuries – it was fascinating, and a little confronting too. Like I said before, this was my first long overseas trip. It was the one that really made me grasp the desire to travel, and the one that led me to so many other amazing adventures. Although it wasn’t a trip I would desire to do again, I still wouldn’t change a single thing about it! Since spending those 5 weeks in Europe, I’ve learnt how special it is to step out of the major cities and experience a country for all that it’s worth. But regardless, every aspect was incredibly beautiful and it really was the perfect Europe travel itinerary for any first-time adventurer! Where was your first long overseas trip? Glad I’ve found your blog for some insight! I’m going for a month trip around Europe this May, but I’m still not really sure which to go since I feel like I dont want to miss out anything, but I don’t want to rush as well. Now what I’m sure the most is I have to visit Venice!